• Improves the function of the retina. • Hinders eye aging by counteracting the action of free radicals. • Reduces the risk of macular degeneration, especially in old age. • Naturally protects eyes from sunlight due to the filter effect of lutein. 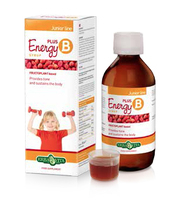 A PRODUCT BASED ON ACUTEINA AND ACE VITAMINS FOR AN EFFECTIVENESS THAT CAN BE SEEN WITH NAKED EYE. 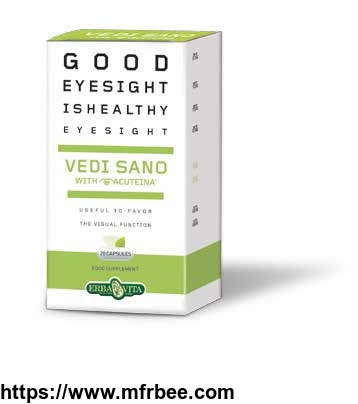 • Improves the function of the retina and the eye adaptability to changing light. • Strengthens the walls of blood vessels, helping to prevent micro-haemorrhages, particularly dangerous for retinal blood supply. 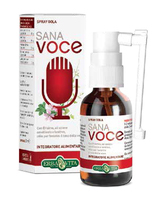 • They have antioxidant function, counteracting the action of free radicals and preventing the consequent damage. • They act as natural filters, absorbing the most dangerous light radiation and protecting the eye from the photo-induced oxidative stress. • Strong antioxidant, plays a key role in the synthesis of rhodopsin (light-sensitive visual pigment) and thus for the proper functioning of the view. • Reduces the risk of cataracts. • Slows down the eye degenerative phenomena, especially related to aging. • Defends against oxidative processes responsible for the so called ‘opacity disorders’ (cataracts, clouding of the lens opacity etc. ).